Early morning delays on a busy Mansfield road were caused by a collision between a car and a van. The incident happened on the junction of Southwell Road West and Big Barn Lane at about 6.30am today, January 31, with Nottinghamshire Police blocking the road during recovery. Traffic is back to normal on the route. 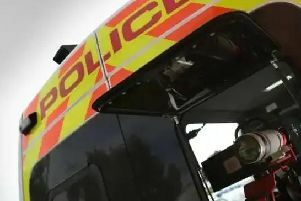 A police spokesman said: “We received a report of a collision between a car and a van at the junction of Big Barn Lane and Southwell Road just after 6.30am today, January 31.